At the AMP Invite this weekend, the new mixed juggernaut Washington DC Space Heater debuted in exciting fashion going 4-0 against their new Atlantic Coast rivals. The biggest win came when they beat the hometown team and last year’s national runner-up Philadelphia AMP 15-13. AMP was without two of their offensive stars — 2018 Ultiworld College POTY Carolyn Normile and Calvin Trisolini — giving other players space to expand their roles for the weekend. Taking advantage of the personnel gaps, Pittsburgh Alloy also downed AMP in a universe point game that may end up meaning more in the rankings than in future matchups. Unless the AC gets three bids, this region could end up seeing one of the most competitive Regionals in the country. In the always crowded Bay Area mixed scene, Sunnyvale BW Ultimate asserted themselves against regional level competition by sweeping the Bay Area Ultimate Classic over the weekend of June 9-10. At Fort Collins Summer Solstice, both top seeds Fort Collins shame. and Denver Love Tractor fell early to Boise Lochsa,1 who came away with an undefeated weekend. Atlanta Bucket took home the title at their hometown tournament ATL Classic, downing Huntsville Method twice on route to an undefeated weekend as part of the Atlanta sweep across all divisions. In a one day round-robin, Denver Flight Club went undefeated to win the Colorado Mixed Round Robin. The 2018 season kicked off earlier this month as Boston Brute Squad won the sanctioned New York Warm Up, sweeping the seven-team round robin that included several top Canadian squads including WUCC participants Toronto 6ixers and Quebec Iris. At the Cackalacky Challenge, Raleigh Phoenix overcame hometown rival Raleigh Ripe twice, once 11-10 and once 11-9, to win the tournament. Kansas City Wicked looked impressive in their opening tournament of the year at Fort Collins Summer Solstice going 6-0 and clinching a convincing final victory over Salt Lake City Elevate. Friends of the Weekly Club Update, Oakland Deadly Viper Assassination Squad had an up and down weekend ultimately finishing sixth. The final piece of the Atlanta Sweep, Bullet bounced back from a pool play loss and took down number one seeded Birmingham Ironmen 15-7 in the final of the ATL Classic. At Fort Collins Summer Solstice, Kansas City Prairie Fire defeated first-seeded Denver Inception 15-10 in the final to complete and undefeated weekend. The Boston Invite headlines next weekend’s action as the mixed division will showcase Boston Slow White, Boston Wild Card, and Philadelphia AMP along with an always talented plethora of Northeast mixed squads. The women’s division brings together northeast mainstays like Quebec Iris, New York BENT, and Montreal Vintage along with Atlantic Coast competitors Philadelphia Green Means Go and Pittsburgh Hot Metal. Boston DiG will also make their 2018 debut on the men’s side. The best West Coast women’s teams face off at Eugene Summer Solstice with defending National Champion San Francisco Fury and perennial semifinalist powerhouse Seattle Riot in the same pool; it should lead to an exciting beginning of the year matchup for the two squads and their WUCC rosters. The men’s division will feature Portland Rhino Slam and Vancouver Furious George amongst a slew of Northwest regional challengers. 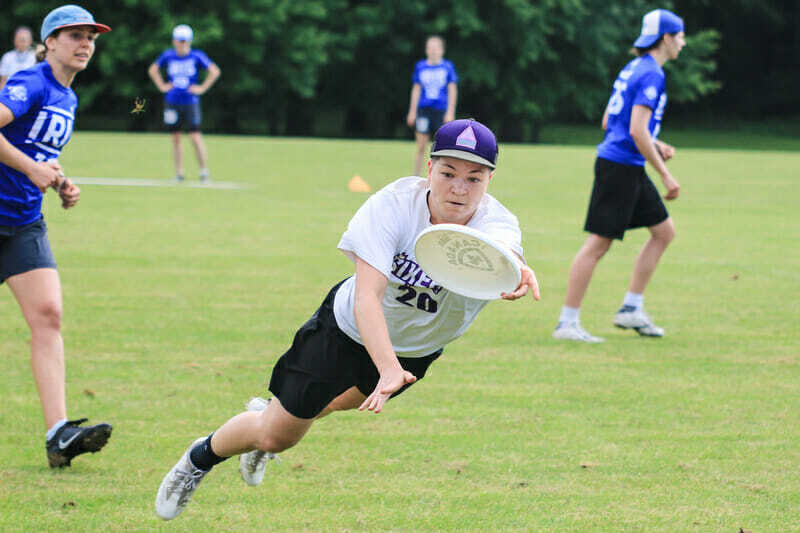 Summer Glazed Daze in Winston-Salem, NC offers competition for 24 southern mixed teams, including Nationals qualifier Durham Toro. SCINNY will feature a men’s and women’s division featuring many Ohio Valley and midwest teams. Comments on "Club Update: A New Beginning"